I've been helping someone move his website from Cutenews to Wordpress. Wordpress is a great Blogging platform and the guys that created it also have a service called Wordpress.com whereby they host your site for free; however, you have very little leeway to customise the themes they offer. 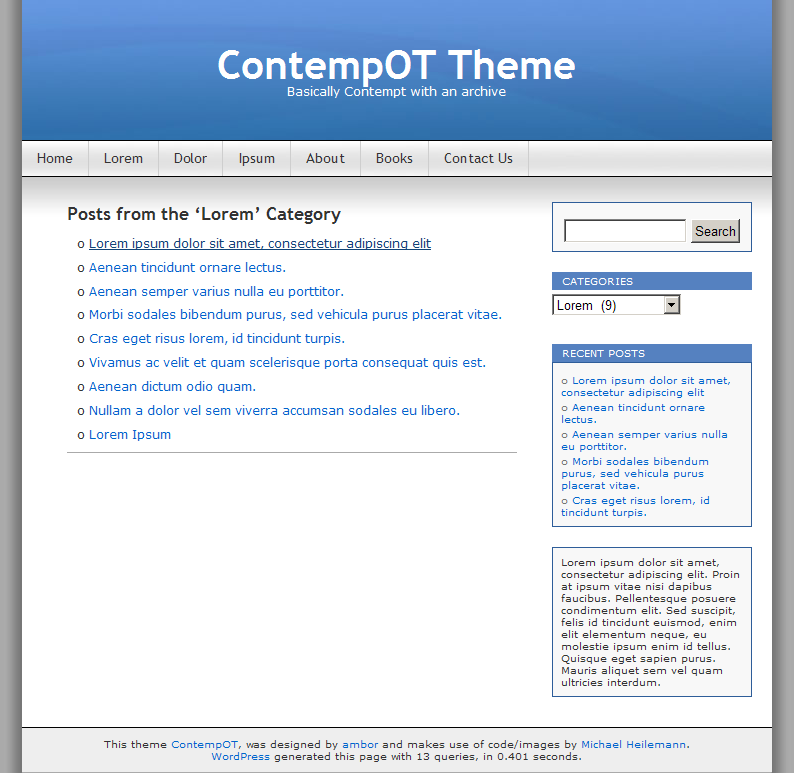 My friend became quite attached to the Contempt Wordpress.com theme which is a variant of this Contempt Theme. The available versions of Contempt; however, miss an important feature - the category listing. After messing around for several days, I realised that the only option was to write my own variant with this feature. On the right is a screenshot (click to enlarge) of what the category listing looks like. It's basically a listing of all the articles in a category. With ContempOT you get this type of listing whenever you select a category, author, archive, etc. Without this feature, most themes will give you the full text (or partial text) of each article. This causes a problem when you have hundreds of articles in each category. 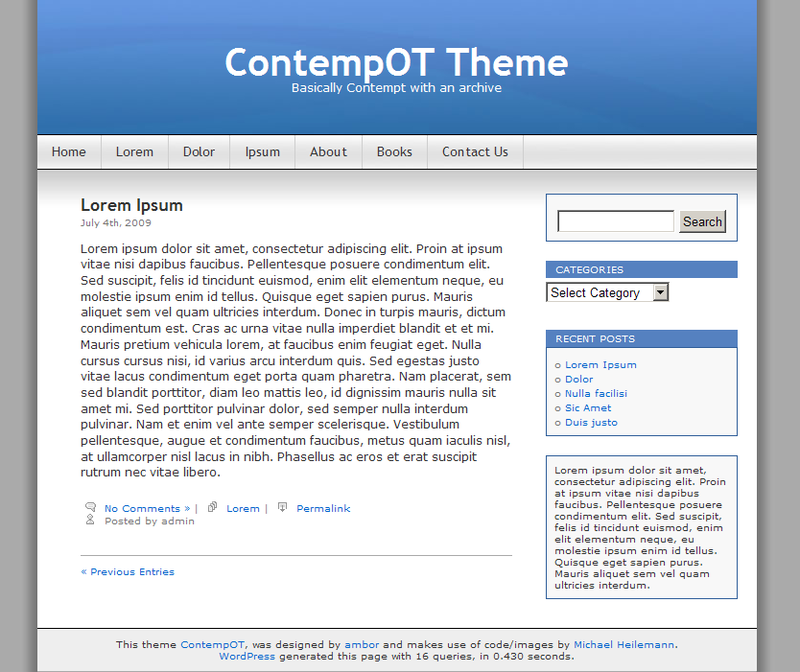 So, if you're interested in trying it out - You can download the ContempOT theme by clicking here. In case you're wondering how I got the name for the theme, OT are the initials of the site. If you want to see a live example, click here.